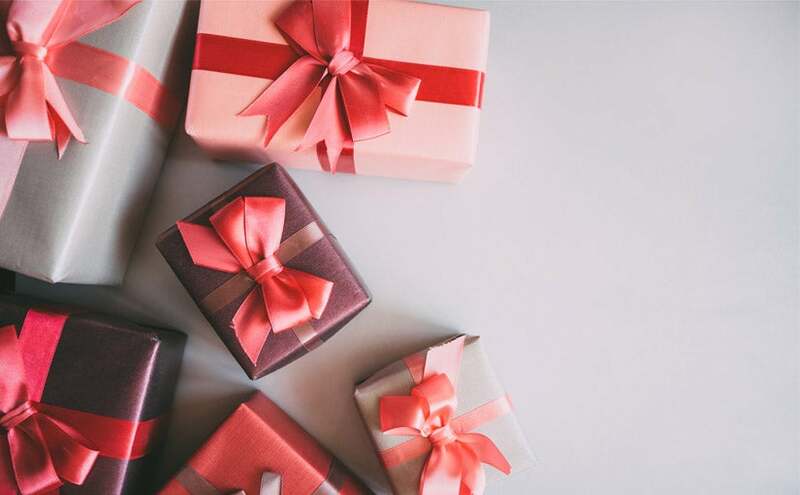 This 2018 Holiday Season, about 62% of US-based Companies will plan and execute a business gift giving strategy for their clients and partners. About 44% of companies will send Holiday gifts to employees. When you compare these business gifting statistics to how we typically gift to our own friends and family, it’s surprising we see such a divide between those who gift to clients and employees and those who do not. Do 50% of us not send holiday gifts to our friends and family? Let’s take a minute to break down the pros and cons of business gifting. Most of us are used to enduring year-end performance reviews where we reflect on the past year and plan for the next. In good years, we always have at least a few highlights that we’re proud of. For every success you’ve had, someone helped you achieve it. A client, boss, mentor, friend, colleague, teacher, relative, even a stranger. Taking a moment to thank these people who helped you is just a good thing to do. Don’t believe me? Go ask your mother. Ever heard the saying “Your Network is Your Net Worth?. We’re living in the midst of a pretty volatile business climate. Competition is increasing, disruption is frequent and change is rapid. Despite these challenges, the demand and expectations placed on businesses continues to expand. Every employee at your company has a network that can help your business grow. From the CEO to the brand new intern. Investing in a corporate gifting program can help each employee grow and strengthen their network. In return, each network can add value to your business. There’s an ongoing debate in the demand generation world around the viability of cold outreach. We’ve certainly seen a sharp decline in the effectiveness of cold calling and mass email marketing. That said, your phones aren’t ringing off the hook with buyers ready to place orders. Businesses are now turning to Account-Based Marketing techniques to try and improve their engagement rate by tailoring their message to the various stakeholders they seek to engage. At a high level it makes sense- General value propositions aren’t working so a more targeted and tailored message should see better results.Here’s the problem. And it might be a hard truth for some marketers out there. Nobody really cares about your content. Put differently, providing gated white papers of really great content isn’t going to fill your sales team pipeline with an abundance of qualified leads. What your sales people want, what they actually need is to get in front of buyers and learn if your product or service can add value. When you think about demand generation in terms of the capturing of business conversations with potential buyers, why wouldn’t you be willing to offer a token of appreciation for someone’s time to learn about your product or service? A key difference between our business and personal relationships is often how each relationships starts. We often analyze the cost and the benefits of a business relationship prior to forming it. If the benefits outweigh the costs a new relationship is formed. The balance of received value from a business relationship is important and frequently considered.Our personal relationships tend to develop more organically through common interests or circumstance. We’re less concerned about the balance of value and simply do whatever’s necessary to maintain a healthy relationship.A possible reason not to gift would be that it could disrupt the balance of value to a business relationship. Personally, I don’t subscribe to this particular theory but can understand it. Bribery is a serious issue that comes with serious penalties. It’s important that every company address and install a framework and ground rules to prevent any form of bribery from occurring within their business.Most businesses have a Corporate Gifting Policy which stipulates what employees are allowed to send and receive as business gifts. Each Corporate Gifting Policy is unique and considers numerous factors pertinent to the business. Businesses can protect themselves from bribery by following a few simple guidelines. If you’ve never gifted to clients or employees before, it’s likely client and employee gifting is not a marked line in your budget. The good news is that securing unmarked budget is often easiest in Q4, just in time to for a Holiday gifting campaign. You’d be surprised the impact a holiday gifting campaign can have even on a limited budget. There are many companies who specialize in delivering high-impact gifts at low cost points. Is simply saying thank you good for your business?